"I fell in love with Stephanie's art when I learnt about the 100 Faces Project and visited her website. Her talent spoke to me from the page and once I saw the paintings live I was completely convinced. It was one of my sisters' big birthday and I wanted to include her in the project and give her the painting as a present.Stephanie walked me through choosing the best photo, colours and setting with patience, care and humour. My sister was thrilled with the result and has the painting in a privileged place in her home. I have continued to admire Stephanie's creativity, not only as a painter, but as a teacher and workshop facilitator. She has an artists eye and a warm heart that brings out the best in the people she teaches. I enjoy her curiosity and openness to the new and loved seeing her fresh approach to her life in Florida. A whole new light and playful side of her came out with the sun of the peninsula. 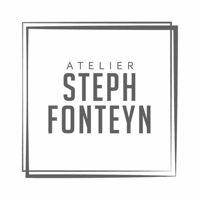 So don't doubt in having a Steph Fonteyn's piece at home. It will bring you light, transport you into a different world and who knows, maybe you can get some of the magic." "I have worked with Stephanie and her team on numerous occasions and each time, it has been an outstanding success. Collaborative Art is unlike other team building - it takes people to a very different space in expressing opportunities and challenges and how they can be overcome and helps visualize the journey to a stronger and more collaborative future. It is also fantastic fun and when you hear the cheers ring out when people finish their painting 'masterpieces', there is a sense of pure satisfaction on having created something quite wonderful together. As Stephanie has a corporate background, the integration of this team building event within the context of a team meeting works very well and can be designed very effectively to match the theme of the meetings." "Seeking for an art course for our 5 year old daughter during school break we came across the offer from Stephanie Fonteyn, an artist working in the area of Nyon. Impressed by what we read about her, we inscribed our daughter to an one week art course. It turned out to be one of the most valuable para-scolaire experiences, that even years later is memorized by our child. Stephanie has the ability to easily connect with children, by helping them in their discovery of art and applications of methods in a light-hearted, yet also productive manner. Stephanie introduced different artist like Monet, Picasso, van Gogh during each lesson with examples of their great pieces, allowing the children to experiment and replicate with their own interpretation. The results are amazing – in two ways: first, our child got fascinated by art and kept the passion till today, and second the art works she prepared during the course are amazing. Stephanie expresses her view on life, personalities, passions through her art; and has this fantastic talent to connect with her surrounding, allowing children and adults to follow her into her world of expression. For our child she has become a central part of her development by showing a way to visual dialogue. Stephanie has broadened her artistic offer over the years. I am impressed how she continues her art journey while bringing more and more people together behind projects." "Stephanie is a very inspiring person who lives her passion- painting. I have taken several classes with her and find her an excellent teacher. While she knows about composition, color mixing and will readily share the techniques, her real strength is to encourage you "getting free and let the brushes dance". By doeing so, she helps us trusting our artistic potential which we all have in us." "I had the opportunity to work with Stephanie for my daughter's Quince and was delighted with the results. Stephanie was tasked with creating an animated story of who my daughter is at age fifteen. The audience at my daughter's event was delighted due to excellent collaboration between Stephanie and I to capture the story I wanted told at my daughter's event. Great work Stephanie!" "Stephanie Fonteyn did an amazing job with the white board animation of our NGO Share A Dream. It is an extremely difficult task to capture the mission and vision of your organisation in a short 2 min video. However, through her artistic eye, creativity and innovative thinking Stephanie was able to produce a white board animation that is comprehensible, straight to the point and very nice to watch. 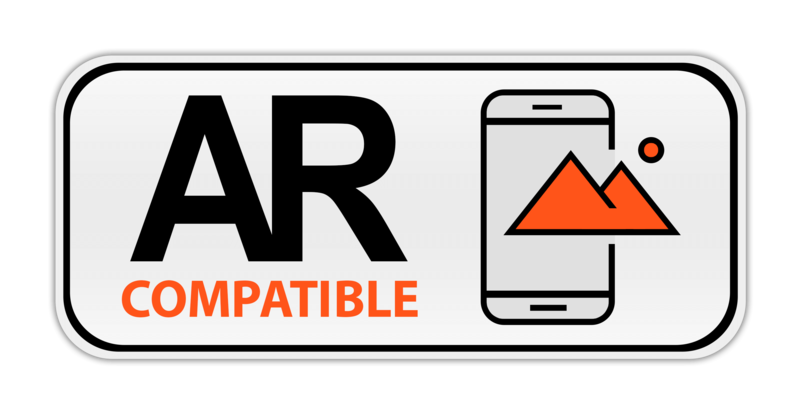 We have received a lot of positive feedback regarding the quality of the video and people really enjoyed the animations. The process of working with Stephanie was also very professional and she was able to integrate changes or comments very quickly." "Stephanie Fonteyn and Collaborative Art were invaluable in making the first ever TEDxZurichWomen event a reality. Stephanie was wonderful to work with. She had such dedication to the cause and her hardworking nature, flexibility and positive attitude were present throughout. She organised a live collaborative art work for the event, which was a huge success. It really added to the creativity of the day and imparted a sense of being a part of the whole initiative amongst attendees. Stephanie's talk at the event was also fantastic, with many positive comments from attendees who were touched by her story. Her passion for art and making a difference to people's lives really shines through. Thank you Stephanie!" "We had an excellent experience with Collaborative Art, from preparation to conclusion. We had fun despite our (lack of) artistic skills and time, and produced a beautiful painting visualising how we imagine the future of our company. The result exceeded our expectations, and the painting now hangs in our office showing the enjoyment, goals, and vision we work towards every day." "Stephanie knows how to transform dry business processes into a sparkling and unique team experience. I always work with Stephanie with pleasure and have full trust on the exceptionnal results that will be delivered. Thank you Steph!" "I've had the pleasure of working with Stephanie in various capacities over the past 10 years. She is extremely creative and inspiring. Steph is able to bring out the best in people vis-à-vis their creativity which leads to them feeling more confident in themselves. She is unique with her ideas and has an excellent way of interacting with people from all walks of life. I particularly enjoyed working with Stephanie in 2011 for an event we organised for International Women's Day. Steph is reliable, efficient and always goes that little bit extra to bring out the best in people as well the best of herself. She is open to new ideas and receives constructive criticism well. I am very happy to be able to recommend Steph." "Stephanie is a very creative and enthusiastic person, who encourages the personal growth of people she works with. I had the chance to participate in her art classes that improved a lot my art techniques and helped me to find a better work-life balance." "We used Stephanie for a creative team-building exercise. The team started out a bit skeptical about the exercise and nervous about their artistic abilities. Steph managed to guide us through a process that unlocked those doors and allowed every member of the team to engage fully in creating our team masterpiece, building our confidence that we could do it. We are all proud of the result and look forward to having it displayed in our office where we will see it often. This was one of the best team exercises we have done to date – encouraging good teamwork and building a common vision of our future."